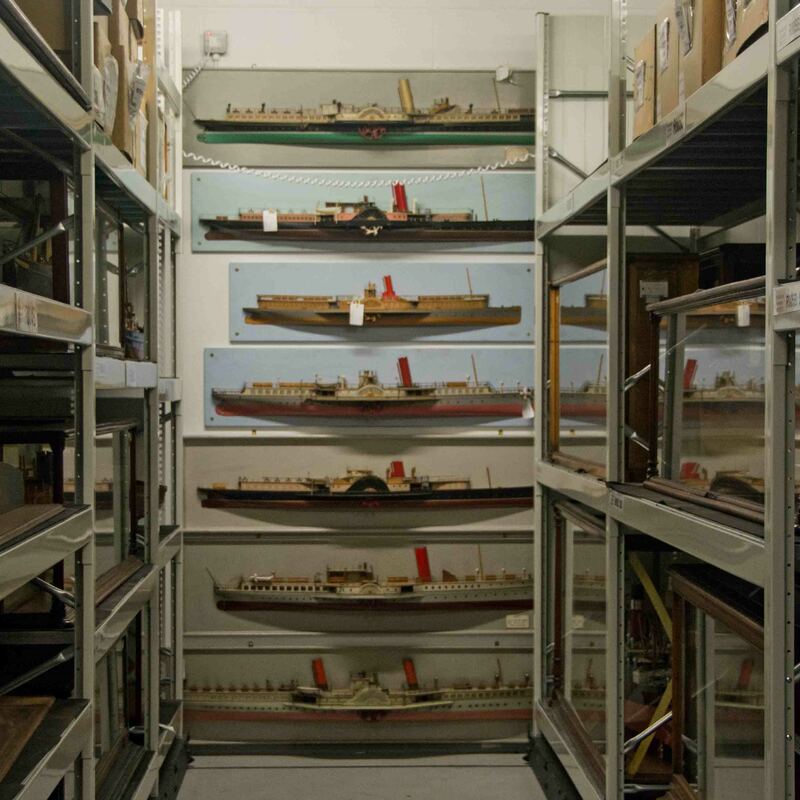 On 25th November at 2:30 pm the Glasgow Museum's Resource Centre (GMRC) at Nitshill is offering a free tour of its ships model collection that PSPS members are welcome to attend. However places must be pre-booked. 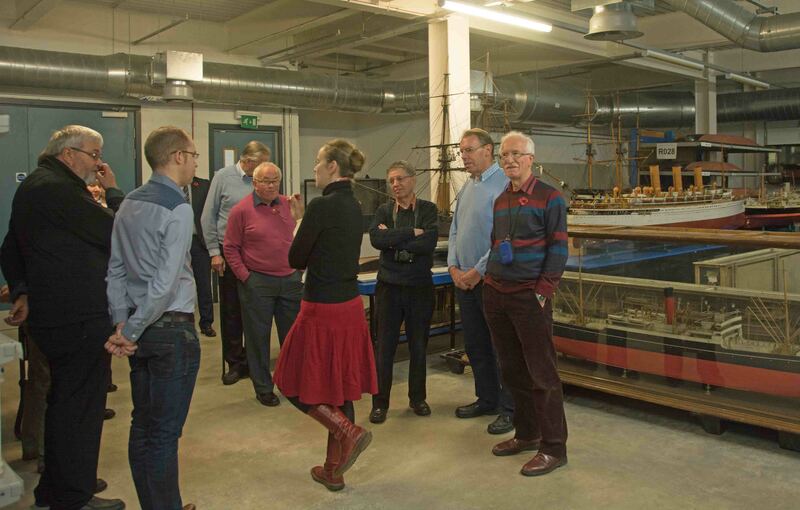 Recently the Scottish Branch Committee had the opportunity to visit Glasgow Museums Resource Centre. Only a small part of Glasgow’s collection is on public display. The remainder, comprising around 1.4 million objects, is housed in the centre’s 17 purpose-built environmentally controlled pods. For example the Resource Centre houses around 80% of the ship model collection and 93% of the transport and technology collection. Our visit to the model ships pod was hosted by Curator Emily Malcolm who treated the group to an in-depth explanation of why and how the models were built. She explained that the models were objects worthy of study in their own right. 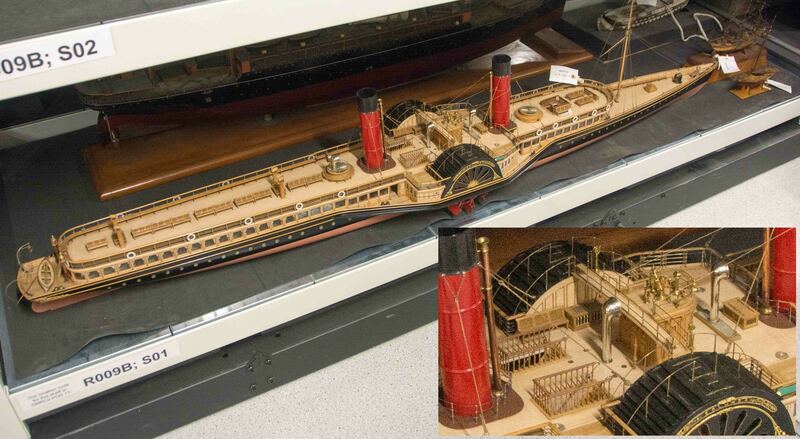 The first item shown to the group was a shipwright’s six foot long half hull model of Queen Mary marked out with the plates needed for the hull. Emily explained that the display model of her sister ship, Queen Elizabeth, was not built until 1948. When completed in 1940, the ship went straight into wartime service so there was no need for such a model to promote the ship. A museum notice stating that the model was built in 1948 resulted in numerous comments as of course everyone knows that the actual ship was built much before then! 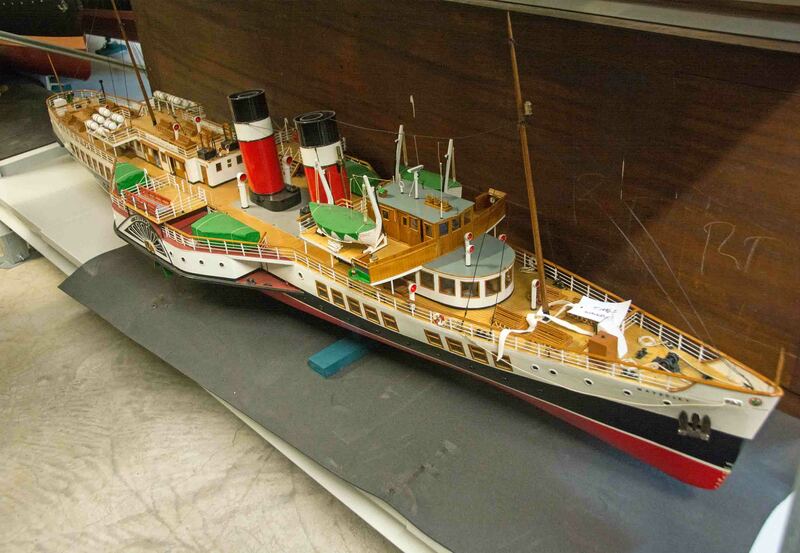 Naturally the group inspected the large number paddle steamer models on display. These included a half hull Duchess of Rothesay, highly detailed model of PS Columba (MacBrayne’s flagship from 1879 to 1935) and one of our own paddler. The bridge between the paddle boxes on the model of Columba model clearly showed the derivation of the term “bridge”. 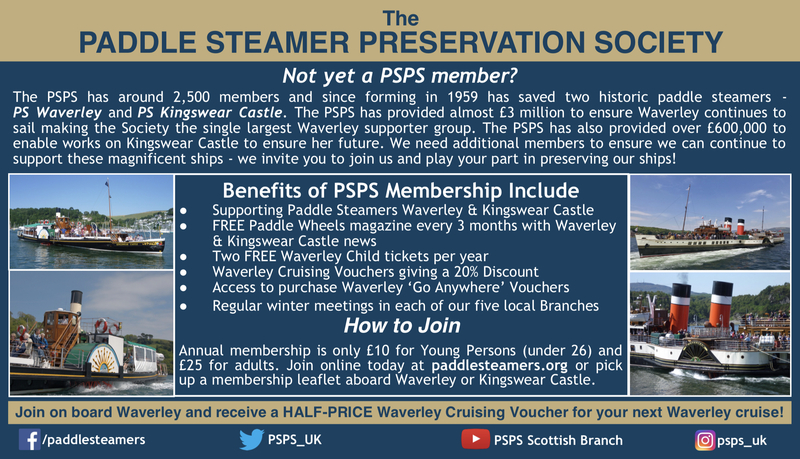 The Waverley model had two anchors so was clearly not a builder’s model. The group was told how half hull display models with surface silvered mirrors were so effective that photographs could not show the reflected half of the ship. However on one model fitted with ordinary mirror glass the join was evident for all to see. Also discussed were the difficulties of cleaning highly detailed models. Although the environmental control system removes most of the dust there is still a requirement for model sized vacuum cleaners. Some ships models are on display at Glasgow’s Riverside Museum. However the way they are displayed has attracted adverse comment from some enthusiasts. Emily acknowledged this but advised that the museum had been very successful in attracting families and young people. She felt that enthusiasts should consider the museum to be a “shop window” and then visit the Resource Centre where staff would be glad to describe objects of interest. The Scottish Branch Committee can confirm the excellence of such explanations and that the Centre is well worth a visit. The Glasgow Museums Resource Centre offers regular tours which are free but must be pre-booked. Specialist tours for groups can also be arranged.